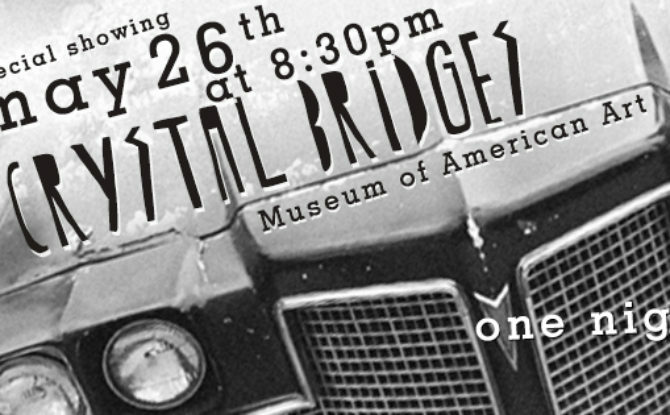 The Open Road Film Series presents an outdoor screening of the Arkansas-based film 45 RPM, as well as a pre-screening conversation with Arkansas filmmaker Juli Jackson, artist Mandy Maxwell, and actor Jason Thompson. 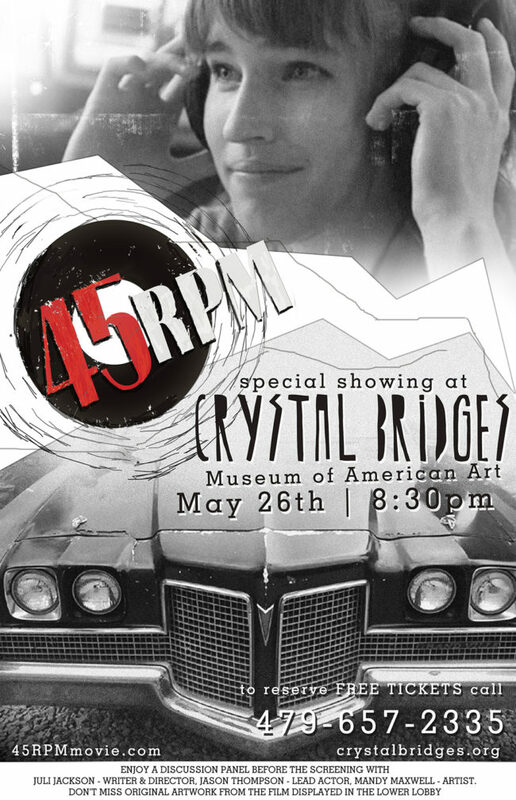 45 RPM is a dark comedy following a road trip through Arkansas, told from the perspective of a young woman journeying to become an artist. Drawing on Arkansas’ unique musical heritage, showcasing local artists, and featuring original music, 45 RPM brings together a wealth of modern talent and Southern music legends, including bluesman CeDell Davis, rockabilly pioneer Joyce Green, and early garage rockers The Coachmen and The Spyders. Artwork from the film will be on display. Free, register online or by calling Guest Services at 479.657.2335. Sponsored by inVeritas and Demara Titzer.